Spacious and updated 3 bedroom and 2 bath duplex on 10th floor. Beautiful 24 ft terrace facing the Hudson river and GW bridge. Updated kitchen with new stainless steel appliances. Spacious bedrooms have fabulous sunset views with plenty of closet space. beautiful wood plank floors thru-out. deck parking space transfers. 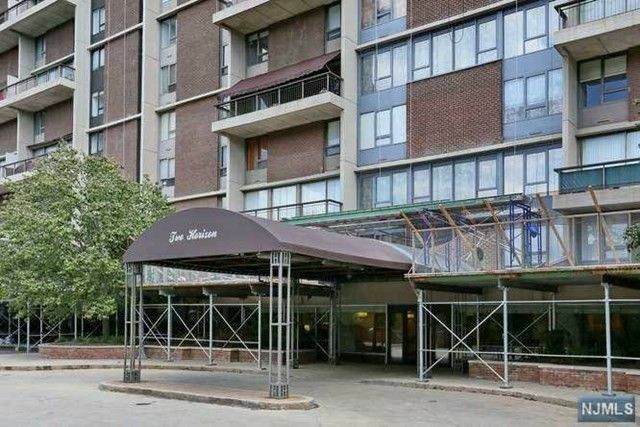 building has 24 hr doorman and security- exercise room in the upper lobby, tennis courts, 2 pools, community room and convenience store. Maint $1974.10+ Parking $72 + $412.50 Assessment+ $48.90 FOR CABLE/INTERNET-$2507.50 MONTHLY cash purchase requires $120, 000 gross income.